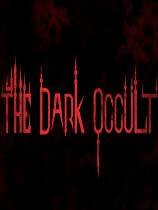 [11.8.18][黑暗隐匿 v1.0.8升级档+免DVD补丁PLAZA版][The Dark Occult][108.18MB] - 游侠游戏补丁下载区 - 游侠NETSHOW论坛 - Powered by Discuz! - Fix remove icons on Game Map. - Fix Re-locked Doors and respawn objects. GMT+8, 2019-4-26 00:56 , Processed in 0.222462 second(s), Total 13, Slave 12 queries , Gzip On, Memcache On.